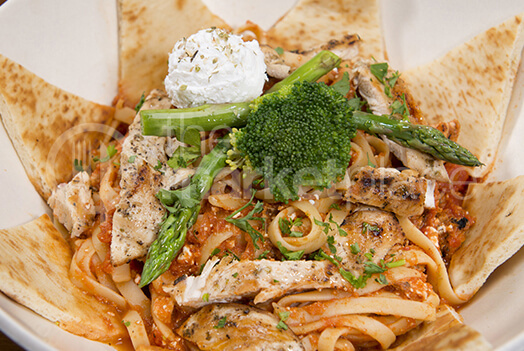 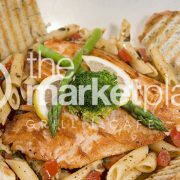 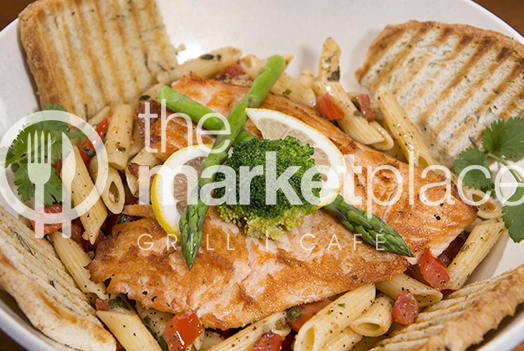 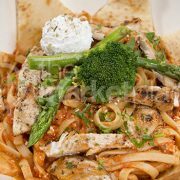 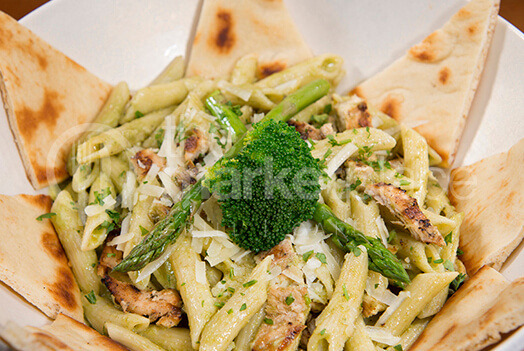 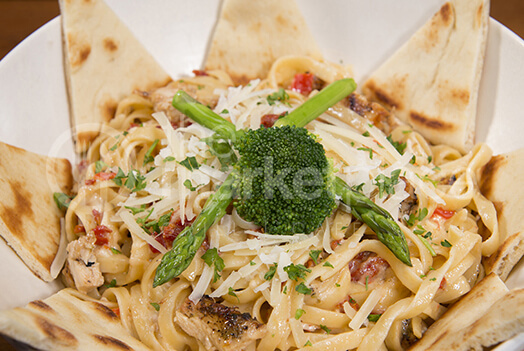 House made basil pesto combined with our delicious alfredo sauce tossed with penne pasta and pita bread. 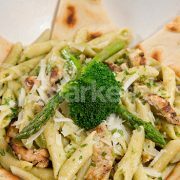 Delicious chopped roma tomatoes, minced garlic, freshly chopped basil, supreme quality extra virgin olive oil and a slice of lemon over penne pasta. 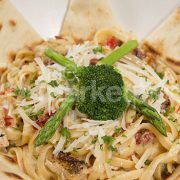 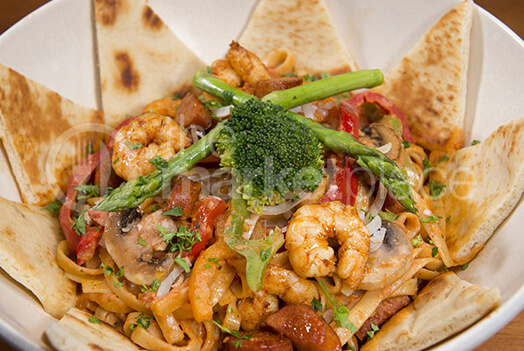 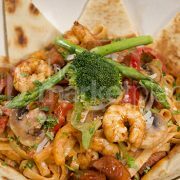 Sautéed Louisiana Sausage, Shrimp, Bell Peppers, Mushrooms, Onions And Garlic, Tossed With Fettuccine Pasta And Creamy Pink Sauce.